Jose Uzcategui scores TKO victory to win interim IBF super middleweight title after Andre Dirrell's corner calls the fight off after eight rounds. Jose Uzcategui gets his redemption with an eighth-round TKO of Andre Dirrell. 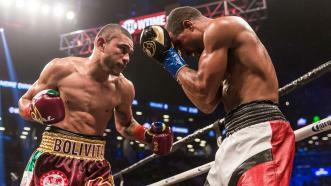 Uzcategui unloaded on Dirrell. 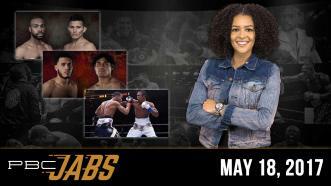 On this episode of PBC Jabs we preview our action-packed weekend of fights coming up on Showtime and FS1 that you don’t wanna miss! And we catch up with two-time 168-pound title challenger Andre Dirrell ahead of his May 20th world title eliminator. 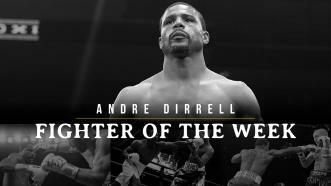 2004 U.S. Olympic bronze medalist and 168-pound title contender Andre Dirrell returns to the ring May 20 vs Jose Uzcategui in an interim IBF super middleweight title bout on Showtime Boxing. 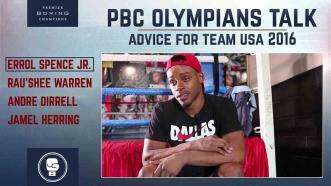 PBC's USA Boxing Olympic alums give their advice to this year's USA boxing team based on their own experiences. 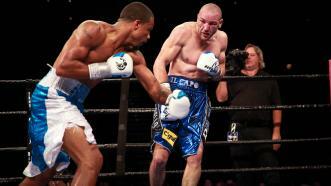 Andre Dirrell rises from a second-round knockdown against Blake Caparello and rolls to a unanimous decision victory. 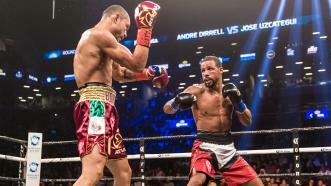 Andre Dirrell shook off a second round flash knockdown and went on to dominate his Australian opponent in a 169-pound contest in Atlantic City. 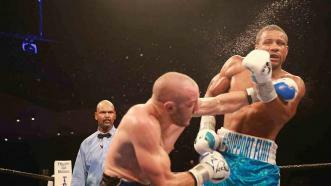 Two-time world title challenger Andre Dirrell overcame a second-round knockdown to dominate Australian Blake Caparello in a matchup of 169-pound southpaws.